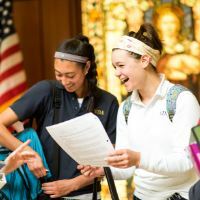 An integral part of the Notre Dame Academy educational experience is growth in one's relationship with God. 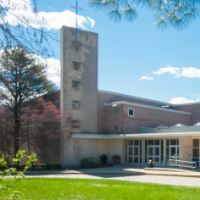 The legacy that Saint Julie Billiart and Francoise Blin de Bourdon, co-founders of the Sisters of Notre Dame de Namur, shared with the Church is that our God is a good God. Ah, qu'il est bon le bon Dieu! was Julie's frequent exclamation in joy and difficulty. 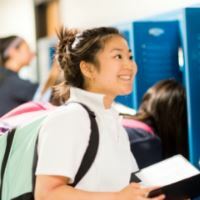 It is our hope that all members of the NDA community, especially our students, grow in an understanding that they are created in the image of God and will reflect God's goodness in all that they do. 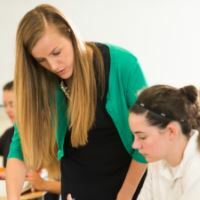 We teach a life skill of theological reflection which means that our students examine their choices and decisions in the light of scripture, the teachings of the Catholic Church, and the needs of the world community. 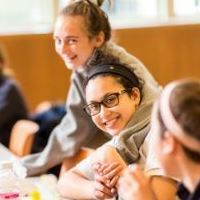 Campus Ministry is central to the educational experience at Notre Dame Academy. Through community prayer and worship, retreats, guided discussions, and service opportunities, each young woman has the opportunity to grow in the understanding of her faith, her relationship with God and others, and the development of her personal values. Interested in learning more or getting involved? 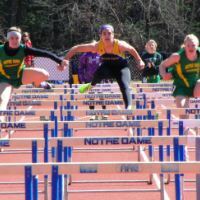 Community service is a way of life at NDA. The NDA community celebrates 20 Masses & Prayer Services a year. 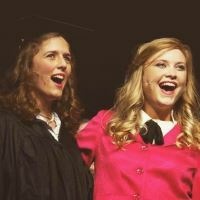 Campus Ministry offers a variety of student trips. Retreats offer students times to reflect on their spiritual journey.